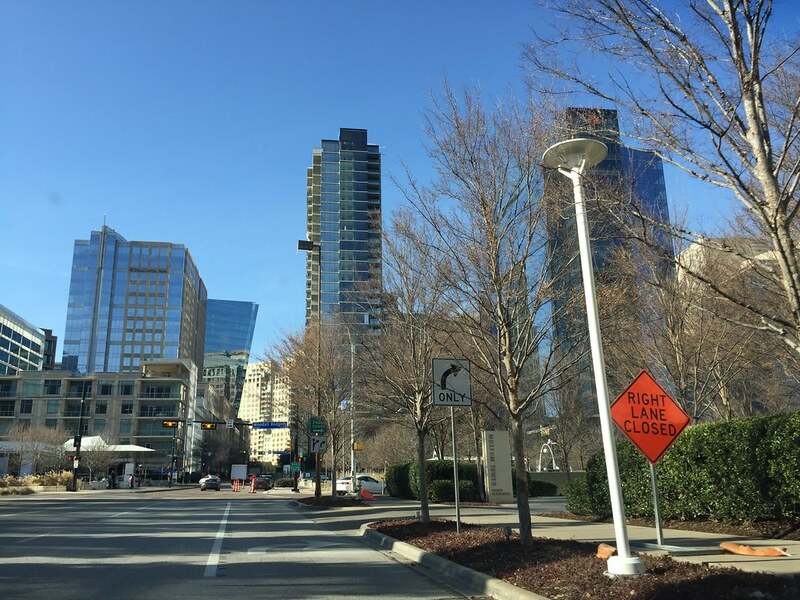 Trammell Crow Co. installed signage for its anchor tenant just as the residence tower topped out. This went up really fast. ...now I'm wondering when that other parkside property (left) will disappear under something new big and tall. It can't be long at this point, and you'd have to imagine whatever is built there is going to be pretty significant. tamtagon wrote: ...now I'm wondering when that other parkside property (left) will disappear under something new big and tall. What property is that? Is that the credit union? I hope so, and I think it is a matter of time. Is that lighting in PWC as bright as it looks? From the walkabout this afternoon, around the same time Kingpin's photos were posted, ha! This is probably my favorite development going up right now. Main reason...because unlike so many recent developments, it's just as impressive as the renderings. 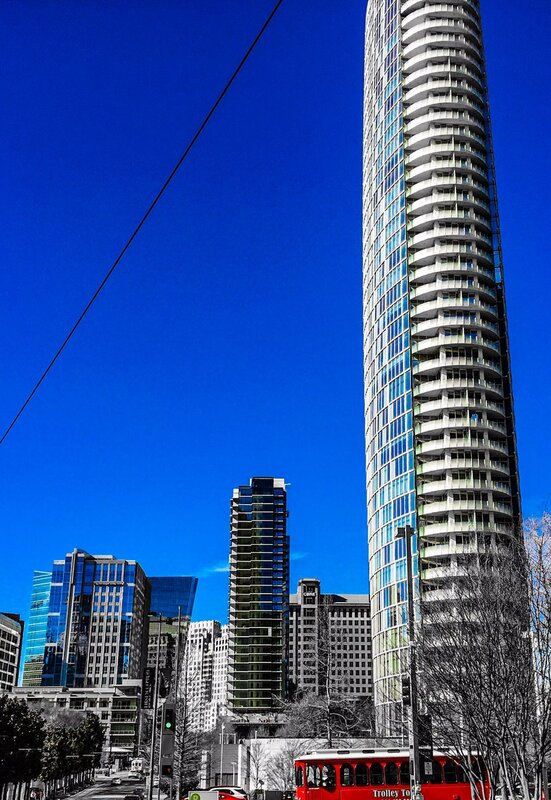 The apartment tower has a Now Leasing banner hung. Here is their website. Those prices just buckled my knees. They are trying to operate as the Ritz Carlton of apartment buildings and I know this because I interviewed to work at this property. My thought process when I saw the first price on there: “Oh, $19,000 per year isn’t too bad. About $1,600/month...OH THATS FOR A MONTH OF RENT!! !” To be fair the first price I saw was for a penthouse unit of 3k sq ft.
texasstar wrote: Those prices just buckled my knees. Waldozer wrote: My thought process when I saw the first price on there: “Oh, $19,000 per year isn’t too bad. About $1,600/month...OH THATS FOR A MONTH OF RENT!! !” To be fair the first price I saw was for a penthouse unit of 3k sq ft. The cheapest I found was $2,500/mo for a 1 bedroom on the lowest floor. Insane! 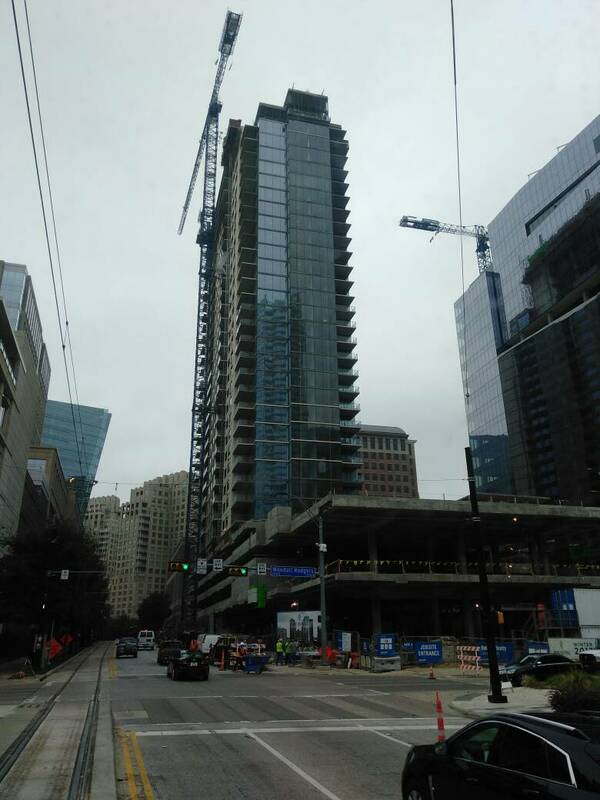 Man, between M Line Tower, Ascent, Victory Place, 23, The Katy, and Ardan all finishing up and having rents in excess of 2000/month, you have to wonder how much these will all fill during summer leasing. C'mon Dallas... For that much I'd rather live in DC. Drove by here last last week, noticed the trees going in along the street. At least for those of us that don't live there and pay those prices this will be a nice addition to the park setting, especially as the trees grow up. Here's a look today. I was actually just messing around and getting a newish crappy phonephoto reflection picture - then figured I'd post it here to at least report to those who don't walk by every day that this place is cruising along in late stages of interior finish-out. Also, of course, lower exterior details are in progress. A very large part of the landscaping has been planted in the ground and up above for awhile now. And, Olive St. sidewalks are wider than before and accessible to use right now to some degree. I had some more observations from the last couple of weeks, but, they escape me at the moment. I'll get back to those. But, I did notice there was the permit sign up on a window at the restaurant space. I have yet to get close to read the sign, but, I remember either early this year or late last year getting a grapevine thrown at my face saying that it was proposed to be a CUT (Wolfgang Puck) restaurant. . . But, I can't really say with any confidence that's what it will be. Our babies grow up so fast. I'm not so sure the new tree plantings are all doing well. . . This scene of a few random false Autumns continues around the block as well. I don't doubt those will get replaced knowing whats going on with Trammel Crow who developed this project. The top executives at CBRE/Trammel are spending daily time on each detail of this property to the point of micromanaging it to the hilt so I guarantee those trees will be replaced. Usually the companies providing the trees/shrubs/etc have some sort of "product warranty" built in with the sale. They are probably waiting to see how the rest handle the remainder of the summer and will be replaced late summer/early fall once the temps come down. Typically, there's a couple that don't make it and they get replaced on each new construction. ^ This is quite normal. These trees were somewhat already pretty grown and they were removed ...this is very stressful for trees. Some don't make it. Sad. 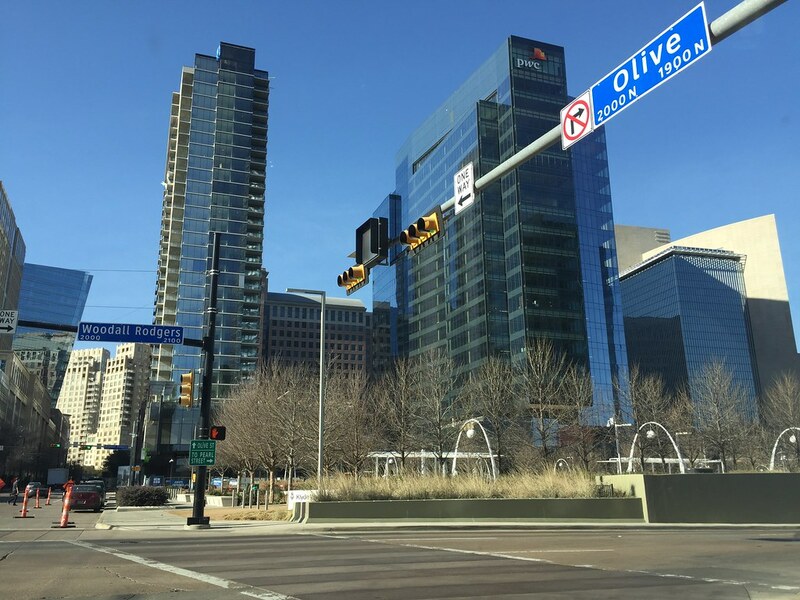 Dallas' new Park District development has landed another major tenant. 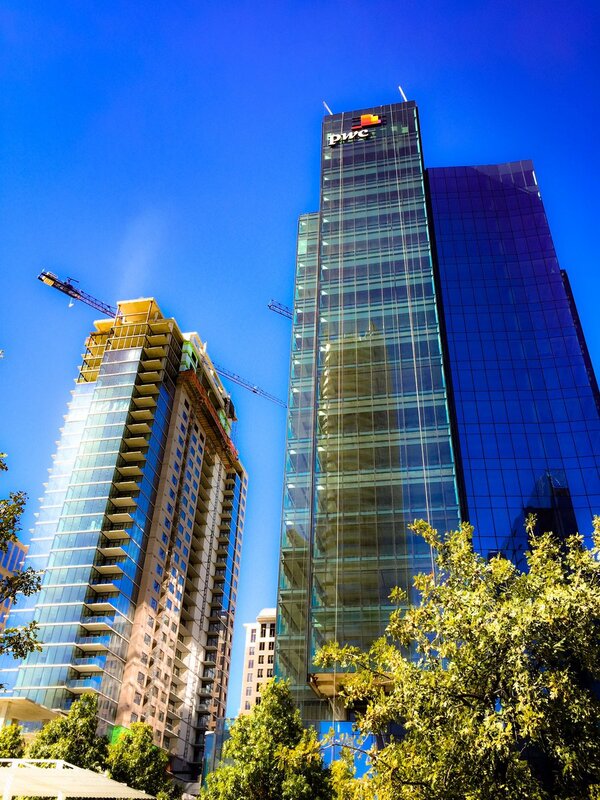 Law firm Caldwell Cassady & Curry signed a lease in the two-tower project overlooking downtown's Klyde Warren Park. 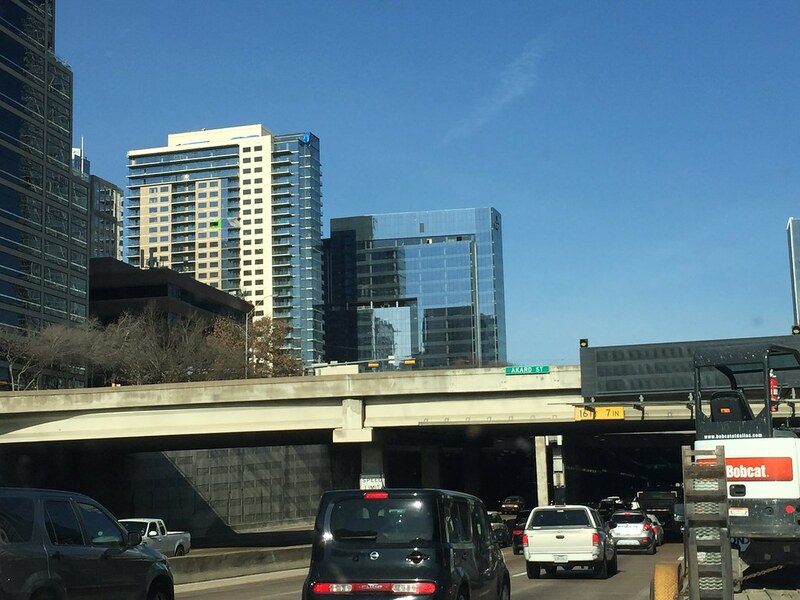 Caldwell Cassady & Curry will move from the Rosewood Court building on Cedar Springs Road to the new office building at Pearl Street and Woodall Rodgers Freeway. The company will move to 14,700 square feet on the 12th floor of the PwC Tower in Park District in early 2020. 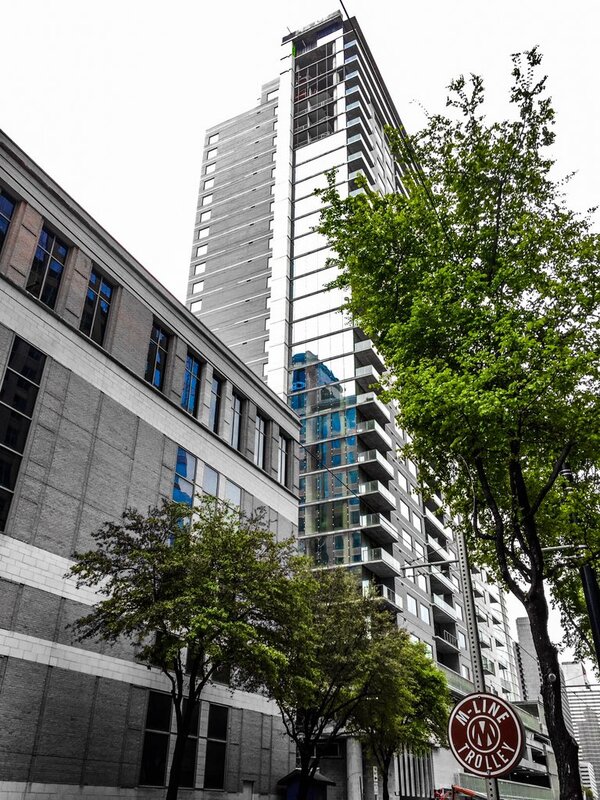 The Park District office tower is more than 60 percent leased. 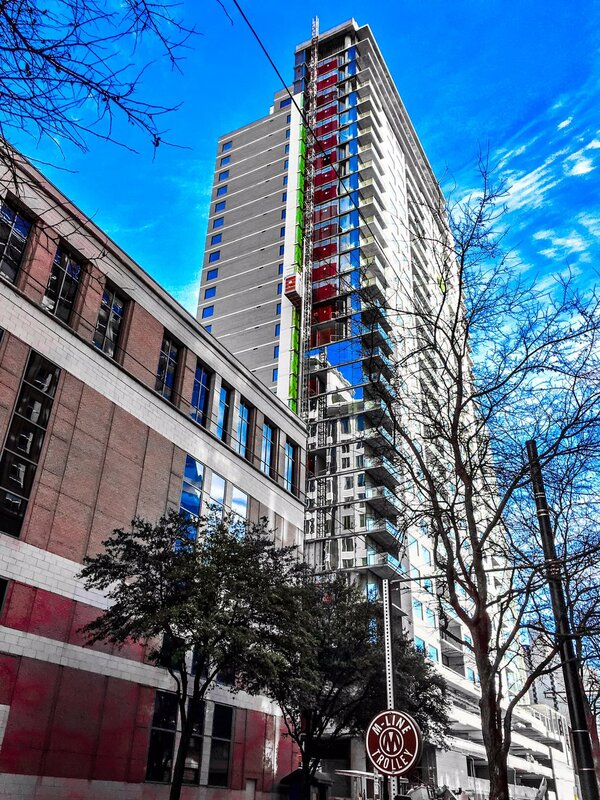 The three newest buildings in downtown Dallas and Uptown are now all substantially leased. Looks like they were already located in the Uptown area, so I don't consider this much of a win, but still newsworthy regardless. So if a company wanted to relocate a large office to Downtown or Uptown into new Class A space this year, are they pretty much out of luck? I keep saying... we need some new office space to break ground with a good amount of spec space or we could be losing out on jobs to the suburbs or areas like Houston that build lot of spec space. 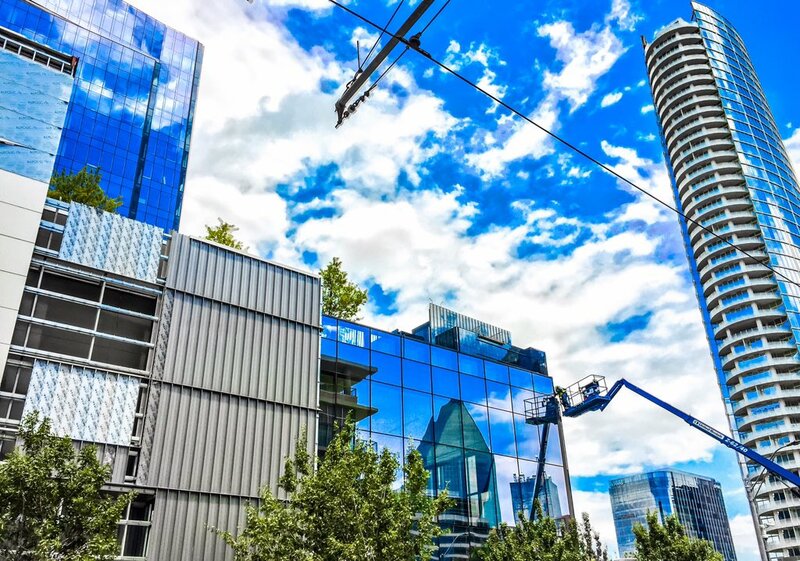 Matt777 wrote: So if a company wanted to relocate a large office to Downtown or Uptown into new Class A space this year, are they pretty much out of luck? I keep saying... we need some new office space to break ground with a good amount of spec space or we could be losing out on jobs to the suburbs or areas like Houston that build lot of spec space. I said "new" class A space. Not vacant. Let's face it, the Amazons, Apples, Googles, and the Salesforces of the world want brand new space with the most updated technology infrastructure. Matt777 wrote: I said "new" class A space. Not vacant. Let's face it, the Amazons, Apples, Googles, and the Salesforces of the world want brand new space with the most updated technology infrastructure. I don't know about Salesforce, but the rest of them all recently announced relocations/expansions to buildings that have yet to be built. I'd imagine some of the really big dogs seem to prefer to move into a space that isn't built yet, and don't mind waiting for it. The smaller/mid-sized companies probably do probably prefer something that is already built, but it seems like we have ample space for those sized companies. I didn't mean those exact companies, I was referring to companies like them. 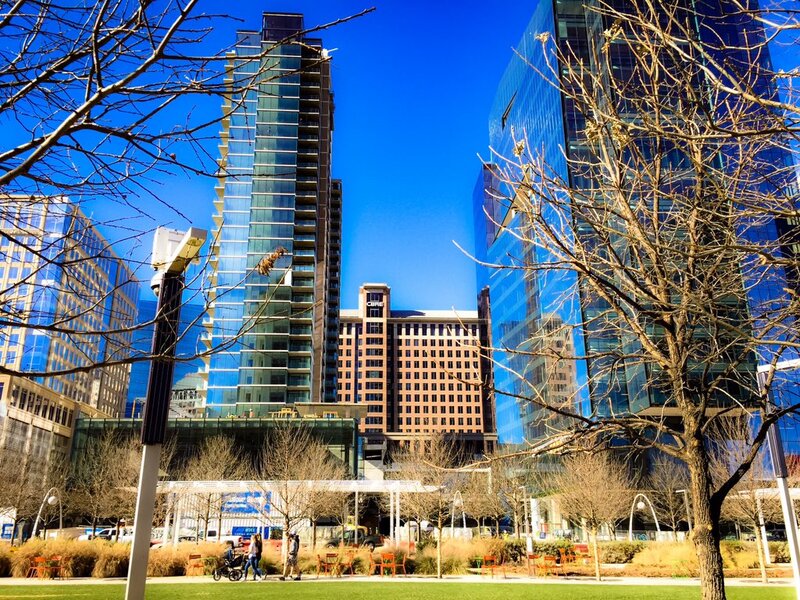 Salesforce needed more space ASAP for their Dallas operations to expand. If the Union space was not recently available, they might have expanded their operations elsewhere or gone to the burbs. 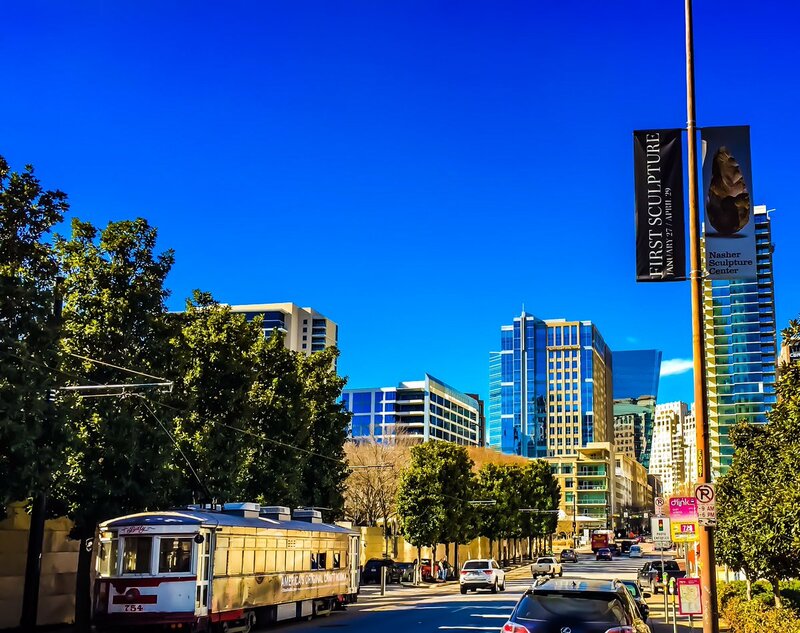 There's not really 100k of new class A office space sitting around anymore. 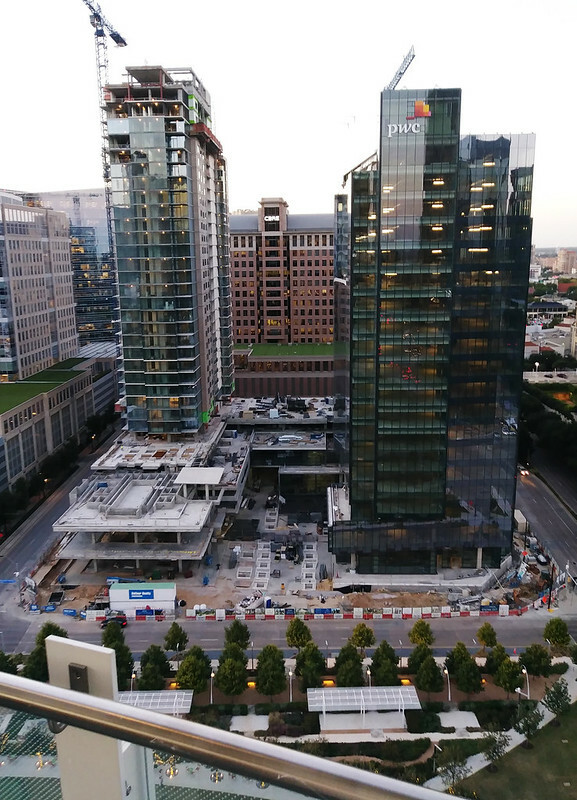 If they were in Houston, the commercial developers there have made it very easy to get new spec space on short notice so businesses can expand. Salesforce just finished the new tower in San Francisco, and has already announced a new expansion tower for downtown Chicago. OK. 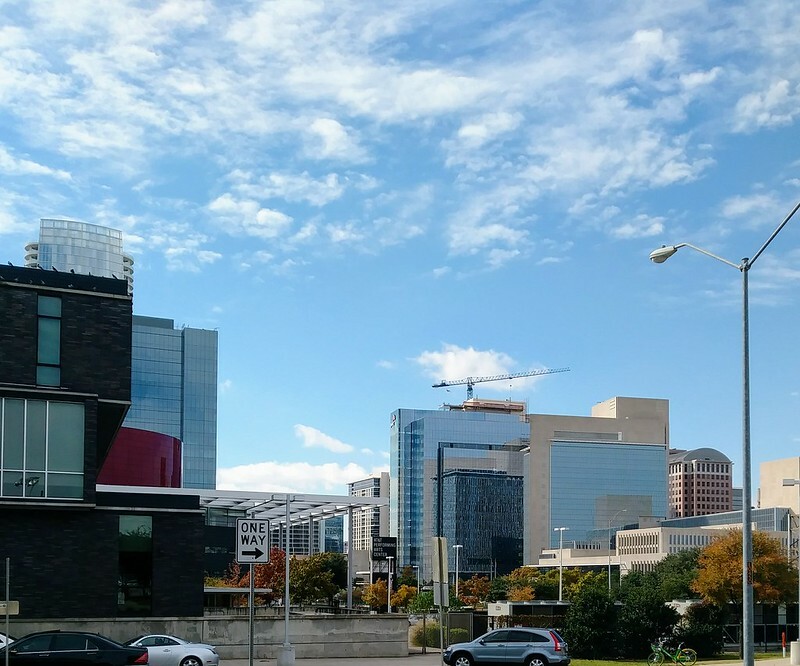 There's still 200.000 square feet available in this building (PwC Park District) and there is more than 400,000 square feet of new space under construction in downtown/uptown. We'll be fine. 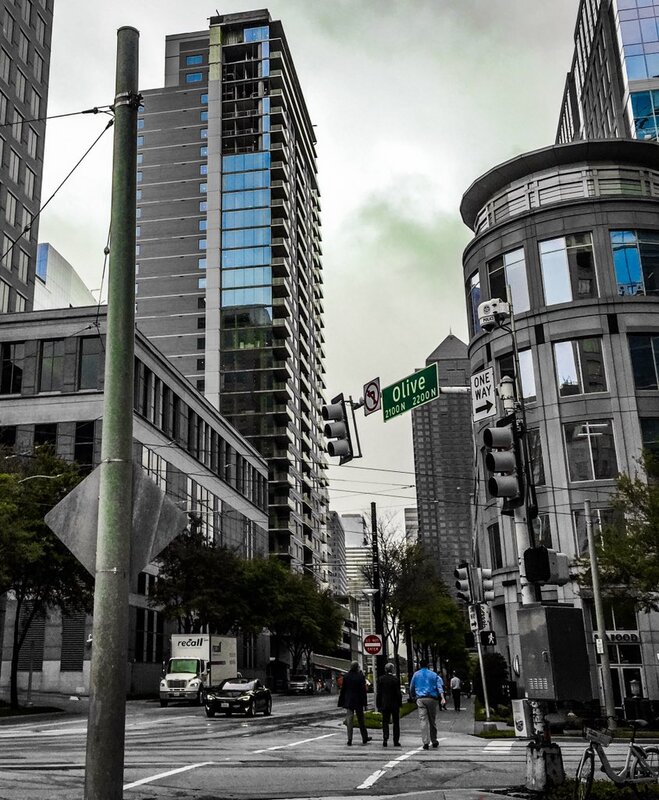 Developers are doing a good job of meeting the demand for new office space.